The fire department responded Wednesday to help the owner, who climbed up 75 feet, get down safely. When a cat climbed up in a tall tree in Presque Isle, Maine, its owner tried to help, only to end up getting stuck as well. 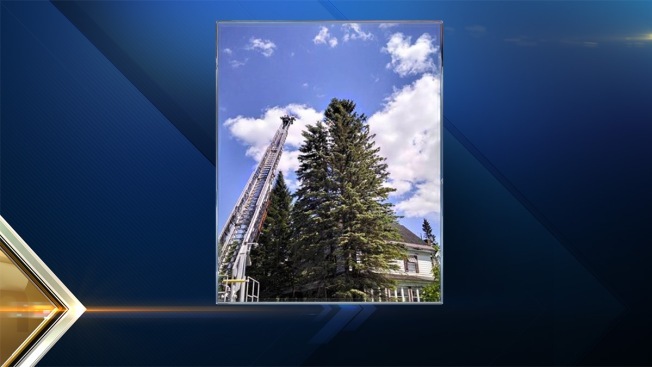 Necn affiliate WCSH reports the fire department responded Wednesday to help the owner, who climbed up 75 feet, get down safely. The owner decided to just wait for the cat to come down, which it eventually did. Neither the cat or the owner were injured.